Heather Rowe is a health scientist with backgrounds in the biological and psychological sciences and expertise in health promotion in the perinatal period. Her program of research positions women's mental health in its social, economic, cultural and political contexts and recognises gender disadvantage as a key determinant. She conducts clinical and community-based trials of existing and innovative interventions. 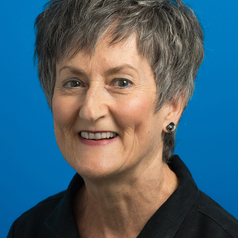 Outcomes of her work include development, evaluation, knowledge exchange and implementation of evidence-based mental health promotion programs. She is Secretary General of the International Society for Psychosomatic Obstetrics and Gynaecology.